Ah, land use permission; it’s an unavoidable challenge of any renewable energy project, but it’s often one of the most substantial barriers. Persuading abutters to embrace wind turbines can be difficult, particularly when companies must counteract the prevalent myths associated with the technology. Solar developers aren’t off the hook either, as they face challenges such as balancing aesthetics and green vs. brown field developments. Still, there are plenty of reasons to be hopeful. With more than 52,000 utility-scale wind turbines operating in the United States as of Q3 2017, wind industry investment is growing — and paying dividends for both consumers and communities. Same with solar, with more than 6,000 projects over 1MW currently in operation or under construction. What’s more, utility providers that cultivate a savvy digital media presence can engage with landowners and abuttors directly. That’s a powerful tool in the right hands. Transparency is key. Resist the urge to “sneak around.” Crystal clear, up-to-date messaging can prevent consumers from feeling mislead. Your goal is to open a line of communication, not to engage in covert warfare; after all, clean energy companies have a better product. They don’t need to hide anything. Trying to build a friendly audience in support of your project? A great first step is to introduce your cause via a direct mailer or newspaper advertisement. Announce your intentions, then direct traffic towards your social media channels and project website. That site should have a direct call to action — an email signup, for instance. Building a database of stakeholder emails (along with social media accounts and phone numbers) not only drastically reduces costs to engage and communicate, but increases the speed to deploy messages while offering the ability to encourage a response. For instance, you might prompt subscribers to answer a handful of survey questions. Use digital media to target your audience more effectively. Social media allows for extreme targeting, which can be beneficial when you’re trying to reach people within a certain age range, geographical area, or according a specific affiliation or interest. If your project generates new tax revenue for local schools, for example, you can use social media to advocate to PTAs and PTOs. If that revenue will go towards public safety, you’ve got a great reason to rally firefighters, police officers, and EMTs. Identifying individuals willing to step out and help lead your message can help combat or even sway the naysayers. You’ll need to consider how people use social sites to speak to them effectively, but with the proper approach, you’ll be able to identify the people who are sympathetic to your cause and drive them to action. Be consistent with your message. Speak to the benefits of your technology as often as possible. Counteract misconceptions by addressing concerns right away — and realize that every conversation is public. When an angry opponent tries to engage you on Facebook, you can use the opportunity to provide a clear, polite response that furthers your message. To this end, you should plan on using your social media accounts, e-newsletter, and website as organization tools. Announce community roundtable discussions, zoning board hearings, and other key events to your audience; give them an easy way to get involved and help spread the word. Land use permission projects often focus on building good will, and digital media can help you become a contributing part of the community in question. Make donations to local causes, host a concert, or sponsor a team. Be visible, active, and helpful. Measure your results (and make regular updates). Digital media is measurable. Use that to your advantage. Keep an eye on your analytic tools to see how people find your website. Watch your social media pages diligently to evaluate public opinion and anticipate pitfalls. Most importantly, be ready to pivot and make changes when necessary. A slight tweak to the layout of your website might encourage more email signups, while a change in wording on your Facebook page could result in better engagement rates. You’ll never know unless you are actively monitoring and analyzing your strategy. When you’re seeking land use permission, digital media can be an extraordinarily effective tool for turning supporters into real, offline advocates for your cause. 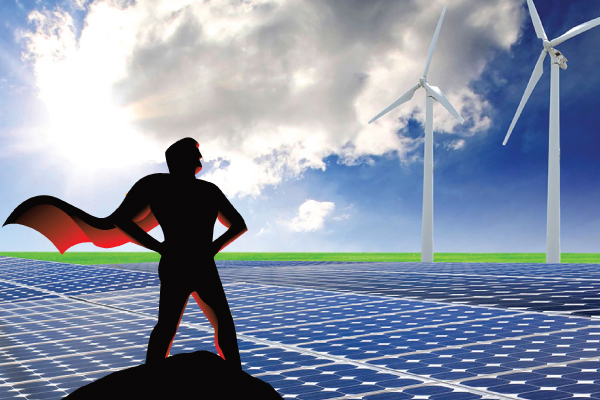 Creating that strategy is, of course, a substantial challenge that varies from one project to the next, but that’s part of the fun (yes, we said fun) of winning land use permission for clean energy projects.